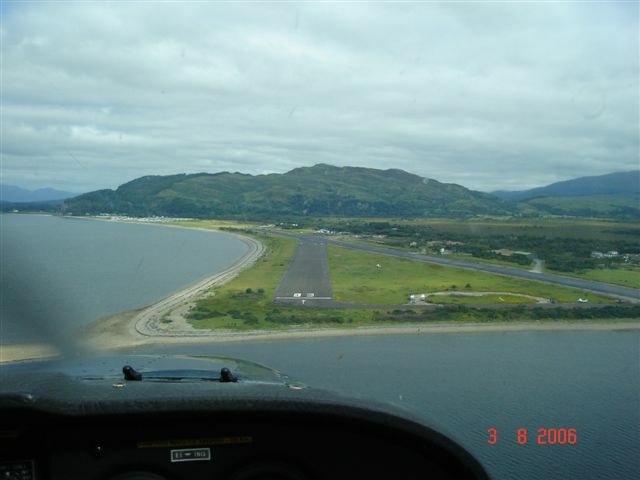 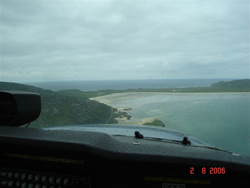 These photos were taken during a visit to Scotland by one of our members in August 2006. Click on an image for a larger picture. 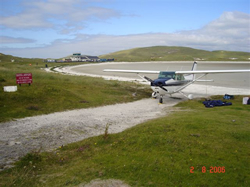 EI-ING on the treshold R13 Barra, Outer Hebrides, Scotland. 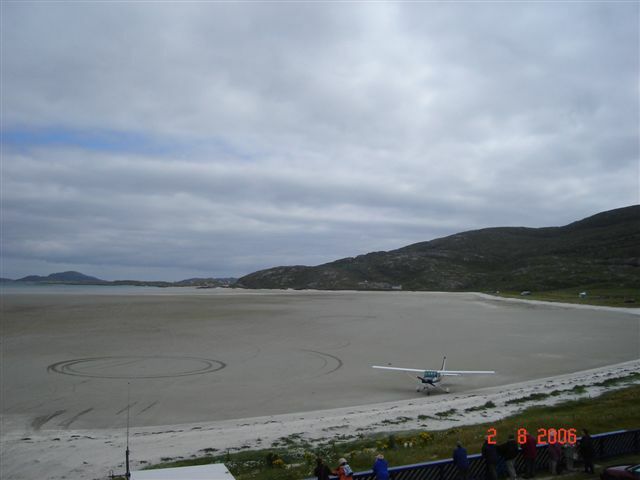 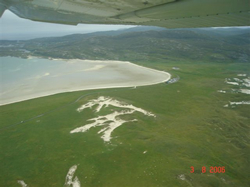 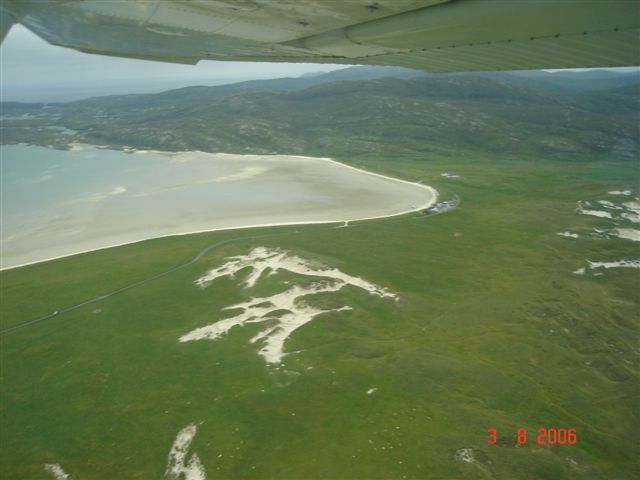 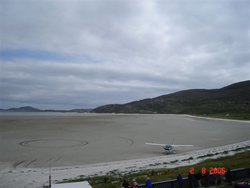 The circle was made by the fire engine as the landing spot for the air ambulance helicopter Barra, Scotland.